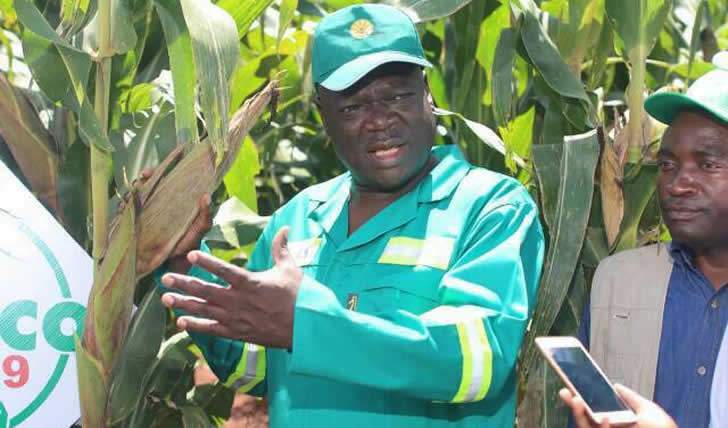 Lands minister Perrance Shiri has ejected new A2 sugarcane farmers who grabbed Tongaat Hulett houses and evicted company employees in the process, claiming they had five-year leases. In a letter addressed to Zanu PF legislator for Zaka North, Robison Mavhenyengwa and the farmers, Shiri said the homestead leases had been put on hold. The letter dated January 25, 2019 read: "Ref Homestead lease GL 1847. The above matter refers. Following a discussion between the Lands, Agriculture, Water, Climate and Rural Settlement ministry and Tongaat Huletts Ltd, regarding occupation of houses by A2 farmers land beneficiaries, you are being advised not to move into the house you have a lease for yet. "In the event that you have already moved into the house, you are kindly being advised by way of this note, to move out with immediate effect. Please hold on to your lease and bear with us as we resolve the matter. You will be informed of the final position in due course." At the beginning of January this year Mavhenyengwa allegedly led a group of new farmers, who grabbed 4 000 hectares of Tongaat Huletts' productive land two years ago, and evicted supervisors and overseers in section 6 and 7 Hippo Valley, from their houses, forcing them to sleep in the open while others were accommodated at Triangle Country Club. The evictions were met with resistance, leading to running battles between invaders and company workers, resulting in property destruction. At one time Zanu PF legislator for Chiredzi West, Farai Musikavanhu, had to intervene and pleaded with the workers not take the law into their own hands, after a nasty confrontation between Mavhenyengwa and the employees. Although the conflict became violent, Mavhenyengwa vowed to stay put, claiming that he had a five-year lease for the house. Mavhenyengwa could not be reached for comment as his phone went unanswered and he did not respond to questions sent to him. "Zimbabwe is open for business" mantra. The privately-owned company is one of the area's biggest employers outside government with 17 000 workers. Tongaat Huletts secretary for corporate affairs, Adelaide Chikunguru, could not be reached for comment.